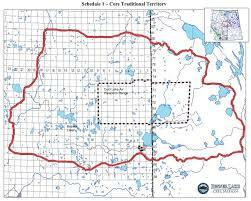 The Beaver Lake Cree Nation (BLCN) territory in Treaty 6, spans 38 972 square kilometers and is in the heart of the Alberta Tar Sands, which have been called “the largest – and most destructive – industrial project in human history” . Living in “the middle of the biggest sacrifice zone on Earth”, this community has been resisting ongoing violation of their treat rights, by taking legal action against the provincial and federal government over the cumulative impacts to their lives and ecosystems . The governments have leased out much of BLCN’s land to oil companies without any prior consultation or approval from the BLCN. They have authorized 300 projects representing 19,000 individual authorizations related to oil and gas, forestry, mining and other activities BLCN lands . The territories host about 35,000 oil and natural gas wells, a Canadian Forces base, and thousands of kms of pipelines, access roads, and seismic lines. While the BLC say that while ecosystems are rapidly declining, the government has plans to triple bitumen extraction . These projects are destroying the lands, polluting waters, poisoning animals and rendering BLCN’s food sources inedible. “Most significantly, caribou herds in the BLC territories are disappearing fast…With oil in the water table, with animals being poisoned, with forests being so fractured that it no longer supports any of the fur bearers or other animals that First Nations depend on for food” . “Indigenous rights are the last stronghold against the unmitigated expansion of the tar sands at source. The BLC are carrying a case on their backs that could set historical precedence: success would mean that it would become much harder if not impossible to expand tar sands projects and would greatly curtail the industry’s expansion plans” . Beaver Lake Cree Nation in Alberta filed a legal action in 2008 against the governments of Canada and Alberta over the constitutional standing of numerous oil sands projects. BLCN charge that the governments have failed to adequately monitor the cumulative effects of development, failed to consult with them in good faith, and failed to take measures to protect the abundance, diversity, and habitat of wildlife . At the centre of the trial is Treaty 6, an 1876 agreement between the Crown and the Beaver Lake Cree. It outlines the territories relinquished by the Cree, but ensures that “the said Indians shall have right to pursue their avocations of hunting and fishing throughout the tract” . “When industry and development is destroying our right to hunt, trap, and fish, that’s in direct violation of Canadian law. So we have grounds to challenge,” said Crystal Lameman, a member of the band  This high-stakes legal action represents a precedent to the Canadian court. The Beaver Lake Cree case will be the first time a court is asked to draw the line defining too much industrial development in the face of constitutionally-protected treaty rights . "The Beaver Lake Cree are asking the Court to award them a portion of trial costs in advance, based on the precedent-setting nature of the case. This is the same mechanism, called an advanced costs order, that enabled the Tsilhqot’in to take their title case all the way to the Supreme Court" . Beaver Lake Cree Nation attorney Drew Mildon has said that should this case be successful it could be precedent-setting when it comes to oil sands development, with repercussions throughout the country. “This is the thing that can keep tar sands development from moving forward,” he said . In recent years, the Beaver Lake Cree have been solarizing their community buildings. "They have not only endured and survived, they are envisioning and proactively building a very different future for their land and their community. Even as they fight the tar sands giant they are exercising energy sovereignty and building an alternative to the oil and gas economy on their land" . Beaver Lake has relied almost entirely on donations for this proceeding . Crystal Lamemen said “Our story is an example of solidarity at its finest. As it has grown, so has our list of allies. Solidarity has meant that the Beaver Lake Cree have been able to create a means of resistance while offering a solution” . 1876: Treaty 6 signed. It guarantees Beaver Lake Cree Nation the right to hunt, trap, fish and gather medicines in perpetuity throughout their traditional territory . 1983: article entitled An Ecological Framework for Environmental Impact Assessment in Canada provided the impetus for the increased use of cumulative effects assessments instead of conventional single-project Environmental Impact Assessments (EIA)s that had been used since the 1970s . 2008: BLCN filed a legal action against the governments of Canada and Alberta over the constitutional standing of numerous oil sands projects . The BLC released the "Kétuskéno Declaration", asserting their role as caretakers of their traditional territories. 2013: Alberta court of appeals rejects the Canadian and Alberta governments’ attempts to block a lawsuit . Upon appeal, the Court ruled that no further “delaying tactics” should be permitted in this litigation, and that Canada’s complaint in particular “flies in the face of the Supreme Court of Canada” and its previous decisions . 2013: A series of oil spills occurr in the region. One spill was discovered under a lake on the south-west shore, where elders say our ancestors are buried. Over 200 animals and amphibians died as a result and over 300,000 kg of oily vegetation was removed from site . 2017: The Beaver Lake Cree solarized the community school. Students participated in every step of the project. The community is now working to solarize the community store, health centre and the Wah-Pow treatment centre . 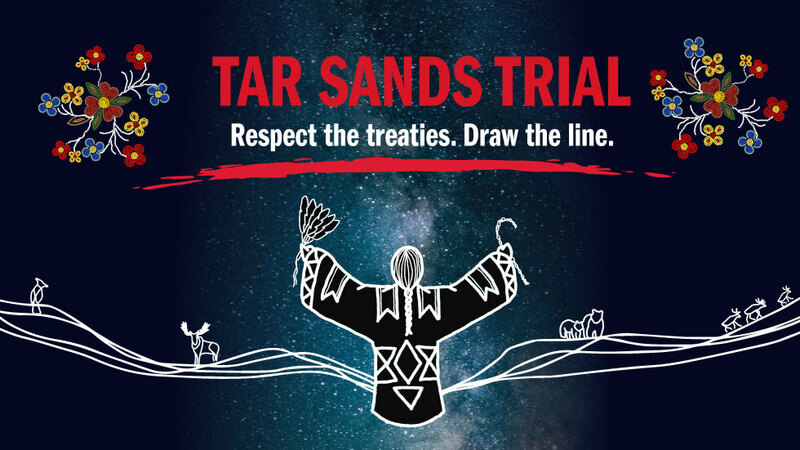 2018: Many fundraisers across Canada, coordinated by RAVAN Trust, raised over 700,000.00$ to help cover the legal costs of the "Tar Sands Trial". Project Details Canada and Alberta have issued up to 19,000 ‘individual authorizations’ (permits) which translates into 300 individual industrial projects that take up more than 90 per cent of Beaver Lake Cree traditional territory. As a result, the once-pristine forest and hunting grounds are now covered with 35,000 oil and gas sites, 21,700 kilometres of seismic lines, 4,028 kilometres of pipeline and 948 kilometres of road – with devastating effects on caribou populations and fish species . Oilsands activity on the First Nation’s traditional territory in northeastern Alberta produces 560,000 barrels per day, or roughly 30 per cent, of the industry’s daily total. 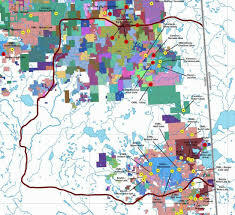 There are approximately 35,000 oil and gas sites, each measuring about 1 hectare, on BLCN’s traditional land . Further development on the Beaver Lake Cree Nation’s territory this number is expected to grow to 1.6 million barrels of oil a day . In 2014 the 81 billion dollars was invested into the Alberta Tar Sands oil development, in 2017 the annual investment decreased to about 43 billion dollars . Natural Resources Canada, estimates that there has been a total 217 billion dollars into the tar sands . It is difficult to determine how much of this investment takes place on the Beaver Lake Cree Nation's traditional territory as there are many different companies all with many sites and project developments. Other Poisoning of animals. Caribou populations have been severely impacted by tar sands extraction. The Beaver Lake Cree First Nation has experienced a 74% decline of the Cold Lake herd since 1998 and a 71% decline of the Athabasca River herd since 1996. Development of Alternatives This is the first case of legal action over cumulative impacts. The court be asked for the first time to define what is considered too much development and where the line gets drawn. BLCN Community has worked together to solarize community buildings. New forms of distributed fundraising have been innovated by RAVEN and BLCN. Why? Explain briefly. The Beaver Lake Cree Nation’s case is ongoing. No decision by the court has been made. The fight is nowhere near over. However, the mobilization among the Beaver Lake Cree Nation and their supporters can be considered a success. The hope is that through the legal battle, the BLCN will be able to deter further development and exploitation of their traditional land. Investors will ideally not want to put money into a project that has no guarantee and in result will withhold any future development on the BLCN territory. This case will ideally work to set a precedent for oil development on First Nations land and encourage other communities undergoing similar injustices to continue their fight. The Raven Trust. 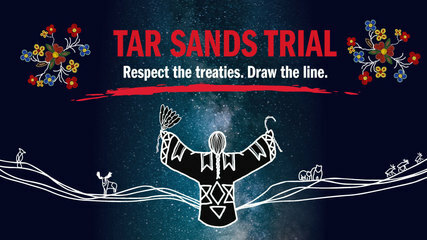 Tar Sands Trial: BLCN vs. Alberta and Canada. The Beaver Lake Cree have gone to court to challenge oil sands development. What if they win? AlbertaViews. Toledano, M. (2014). Indigenous Lawsuits Could Paralyze the Tar Sands. Wohlberg, M. (2013). Beaver Lake case against oilsands to head to trial. Northern Journal. Morin, B. (2013). Federal and Provincial Governments Lose Appeal Against First Nation Oil Sands Lawsuit. Indian Country Today. (Indian Country Today, 2013) Federal & Provincial Governments Lose Appeal Against 1 Nation Oil Sands Lawsuit. Indian Country Today. (Lameman, 2015) Life above the Alberta tar sands – why we're taking the government to court . The Guardian. (Simeon, 2017) Beaver Lake Cree Bring the Power of the Sun to Tar Sands Ground Zero. Raven Trust. (Berman, 2017) Canada's most shameful environmental secret must not remain hidden. The Guardian.